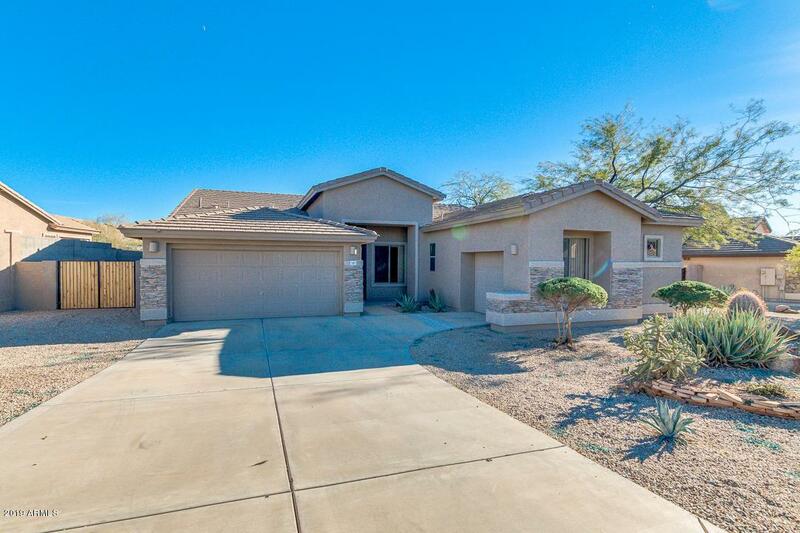 Spacious home in sought-after Superstition Foothills community! This flexible floorplan features a great room with an inviting fireplace, a separate den, and also a bonus room which could be used as formal dining, additional office, or game room. The kitchen has a breakfast bar for those hurried mornings, gas cooktop, and 42 inch maple cabinets. 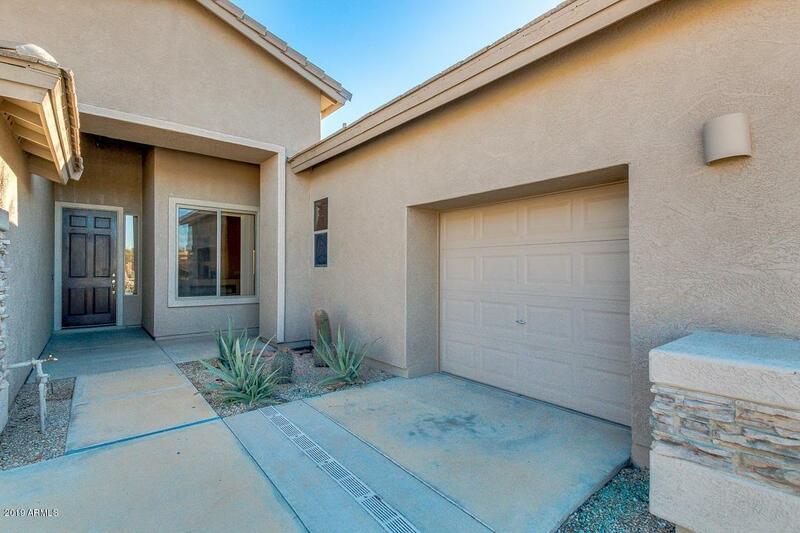 The backyard features a large covered patio and a view fence that overlooks the desert wash. The three car garage and RV gate provide plenty of storage for your toys! Only a short walk to the heated community pool and many walking trails. 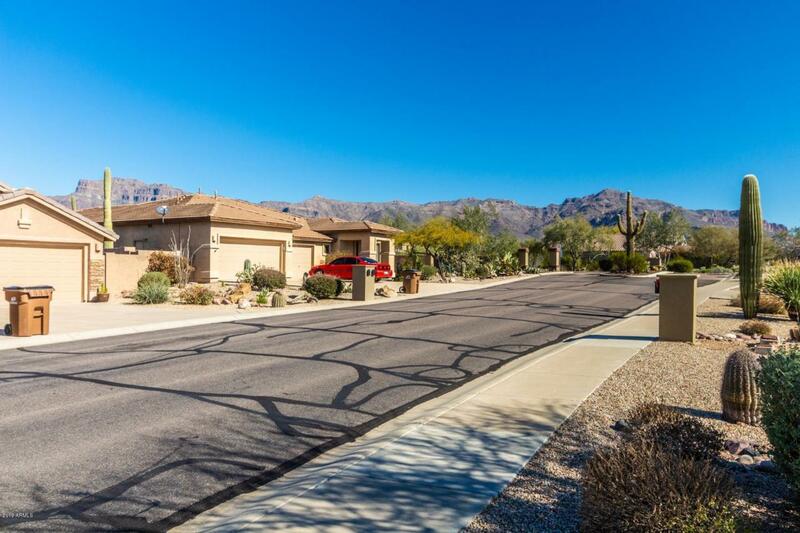 This home is convenient to hiking in Superstition Mountains, local restaurants, and golf courses. 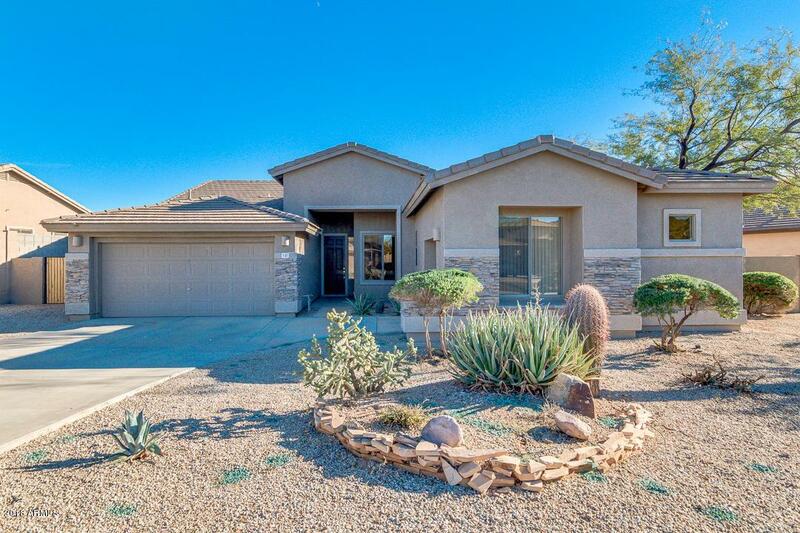 Make this one your new home today!